There was outrage when flat-winners were announced last year with only the form numbers of applicants and complaints were filed over alleged lack of transparency in the selection process. The anti-graft watchdog has ruled out corruption in the selection of flat winners for a government housing project launched in 2014. After an investigation that spanned seven months, the Anti-Corruption Commission on Thursday ruled out any corruption in the project. “There is not enough evidence to prove that an act of corruption had been committed,” a statement read. According to the findings, flats from category one and two were given to applicants with more than 110 and 112 points respectively. A computer generated slip with points acquired from information in the application was issued when the forms were submitted, ACC noted. But these points changed for some applicants when the final flat winners were selected because of improvements in their living conditions. Addressing complaints that house visits were not made to assess living conditions, ACC said this was due to the applicant having moved abroad or to a different island, or due to difficulties caused by their working hours and address changes. The ACC noted that the housing ministry had reviewed complaints and given flats to those who were found eligible following house visits. But the commission did not state how many flats were given after the re-assessment. Flats were officially handed over and families moved into their apartments while the ACC investigation was still ongoing. Some 616 selected winners were awarded flats after more than 15,000 people applied for the social housing scheme. The winners of the flats built in Hulhumalé, a reclaimed island under development near Malé, were the first chosen by the current administration. 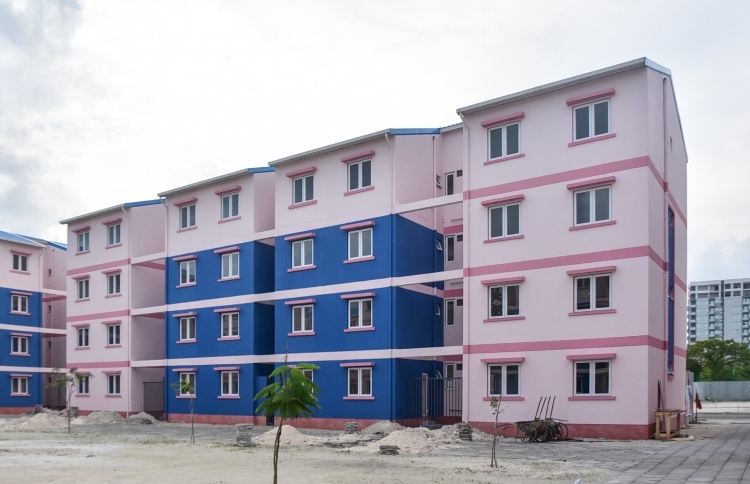 According to its homeownership or ‘Gedhoruverikan’ programme unveiled in February 2014, applications were to be evaluated based on the period of residence in Malé and other measures of their living situation, including the family’s income and the number of children. Some 39 percent of the Maldives’ 341,256 population resides in the 2.2 square mile island of Malé. In the past few decades, thousands migrated to the capital in search of jobs, better education and healthcare, making Malé one of the world’s most densely populated cities with people crammed into small apartments for exorbitant rents. 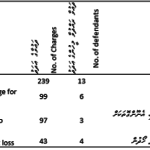 In April, nearly 50 flats in Malé priced at MVR2 million (US$130,000) each were sold out within five days. Their original recipients under a previous government’s social housing programme were unable to secure loans before a deadline last year. 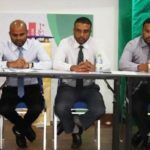 The flat winners were told to either pay MVR2 million upfront or obtain home loans with a down payment of at least MVR400,000 (US$25,940), a price out of reach for middle or low-income families.